We offer repairs and services on all locos, gas, meths or coal. From simple services and repairs to full rebuilds. 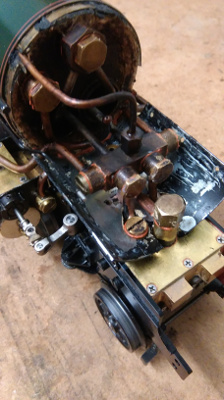 The above examples is an Aster Castle, that requires new outside valve rods, the timing setting, all the steam fittings sealing and re-springing for better weight distribution to aid traction.